There is a famous phrase, based out of Luke 7:47 – “those who have been forgiven much, love much.” That can certainly be said for pastor and ex-drug addict Jamie Casey. The 45-year-old has spent the best part of the last two decades locked in a fierce battle. A battle no longer for his own life, but for the lives of those still in the grip of opioid addiction. Over recent years, the opioid crisis has been spiraling out of control across the United States. According to the U.S. Department of Health and Human Services, at least 130 people died every single day between 2016-2017 as a result of opioid overdose. Staggeringly, 11.4 million people misused prescription opioids, with 886,000 using the highly-addictive intravenous substance, heroin. But, in light of these devastating statistics, there is a growing army of brave men and women who are seeking to tackle the drug crisis head-on as they offer love and support to those entangled in the vicious cycle of addiction. Casey is certainly one of them. As well as being a pastor at South Coast Community Church, he also heads up an organization called PAACA (Positive Action Against Chemical Addiction), which helps individuals battling poverty, illness, addiction and homelessness. Pastor Casey wears several different hats, serving as an outreach chaplain with the New Bedford Police Department alongside his anti-drug and ministry work. But in all his roles, the ex-drug user has one central goal: to show drug addicts that there is a better way to live, and to lift their eyes to the hope found in Jesus Christ. But things certainly haven’t always been easy for this wonderfully compassionate man. Indeed, one of the most impactful tenets of his ministry is the fact he has “been there.” He has known suffering, addiction, pain, and loss in his own life and has experienced first-hand the devastating consequences of opioid abuse. This went on for a decade – a cycle of destruction, chaos and heartbreak – until one day, his wife asked him to leave, for good. “I was devastated and wanted to give up,” Casey said of the rock-bottom moment. He was at the end of his rope, he was broken, and he knew something had to change. 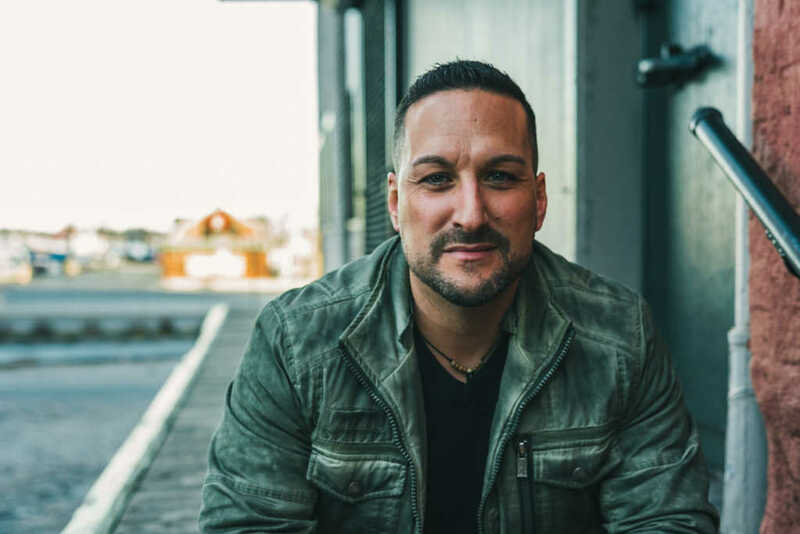 “I heard my pastor say once that, “We don’t surrender to be done, we surrender to begin.” That would prove to be very true in my case,” Casey explained to Faithwire. When he returned home, the New Bedford native immediately connected with a local church. Here, he quickly began to develop a passion for ministry. Working with Teen Challenge alumnus and close friend, Brian Dube, the pair decided to draw on their life experience and minister to those in the grip of opioid abuse. Dube is now the lead pastor of South Coast Community Church. Find out more about the work of PAACA by visiting the organization’s website here.